No matter how green your pool is, THERE IS HOPE! See the pool below that in just a few short weeks went from a frog infested pond to a relaxing summer party spot. We are ready to take the algae DOWN! 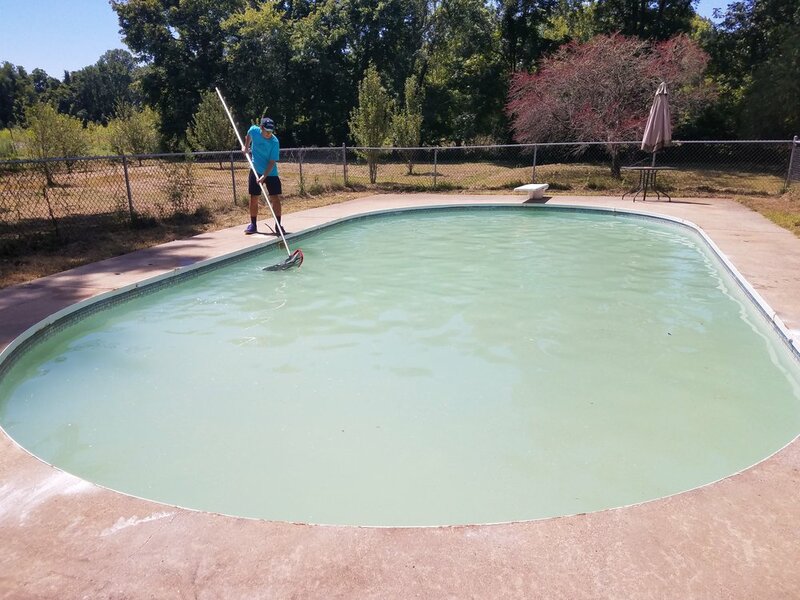 Whether you are opening your pool for the season or things just got busy and the pool started growing algae or the water turned green Ace Pool and Spa’s ‘Green Pool Guys’ are ready to take up the challenge and get your pool back in perfect working order in just a few days in many cases. Whether your current pool company has dropped the ball or the pool has just gotten away from you The Green Pool Guys are ready to TOTALLY FIX the algae problem that your pool has. If you service your own pool we even offer training on how to balance your pools chemistry so that the pool will stay clear and blue for the rest of the summer. You may have been doing everything right but sometimes your pool filter has failings that are difficult to identify. In this case The Green Pool Guys can recommend several options for treating the water and solving the root cause so that you don’t have to deal with nasty water again.